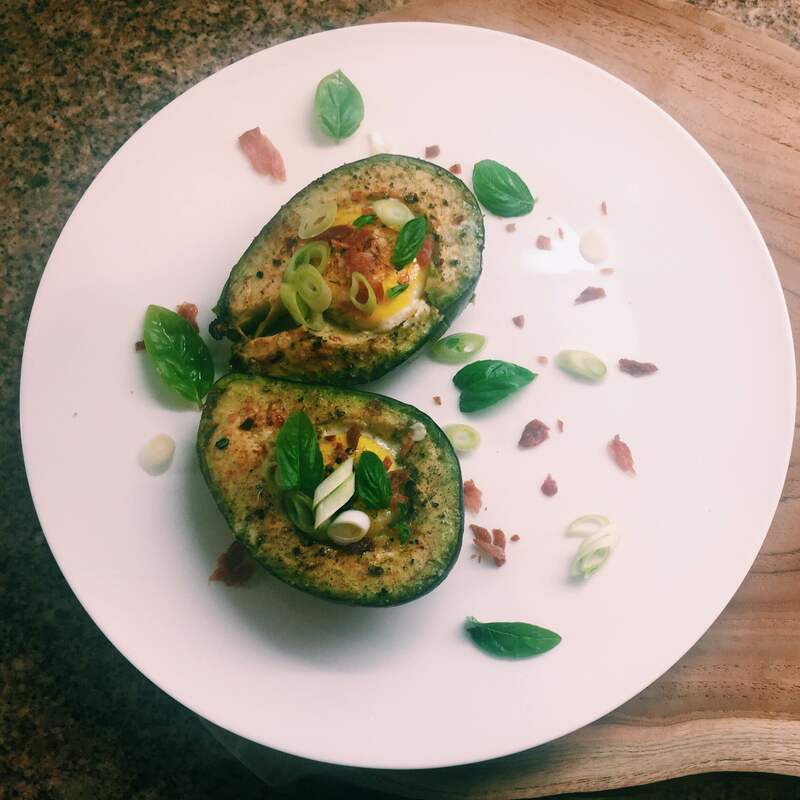 Avocados are the shiz niz, they are so versatile, creamy and delicious. They can be grilled, baked and used as a substitute for butter among many other ways. The substitution of avocado in baked goods helps increase their nutritional value by contributing nearly 20 vitamins and minerals. Slice the avocados in half, and take out the pit. 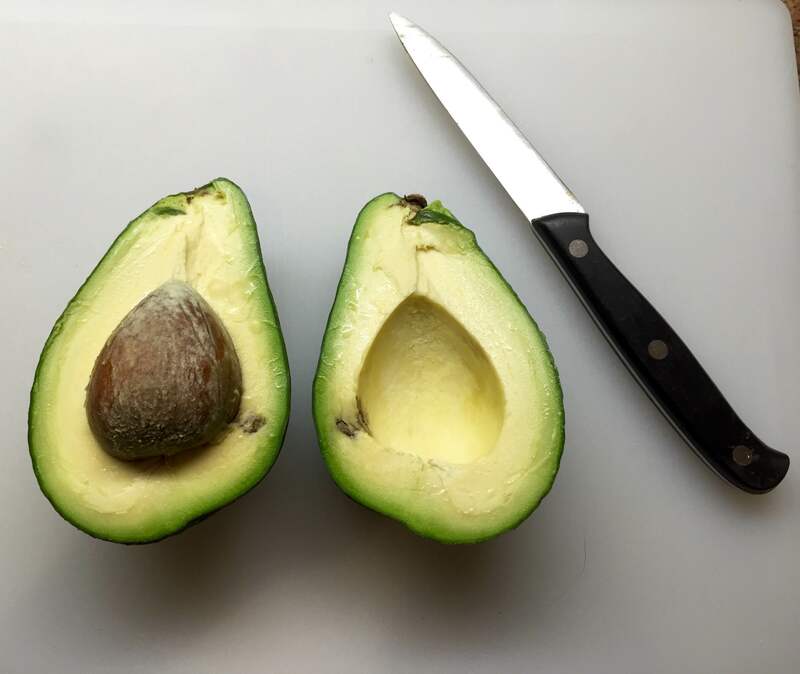 Scoop out 1 tablespoon of flesh from the center of the avocado, just enough so the egg will fit in the center. Place the avocados in a small baking dish. Do your best to make sure they fit tightly. 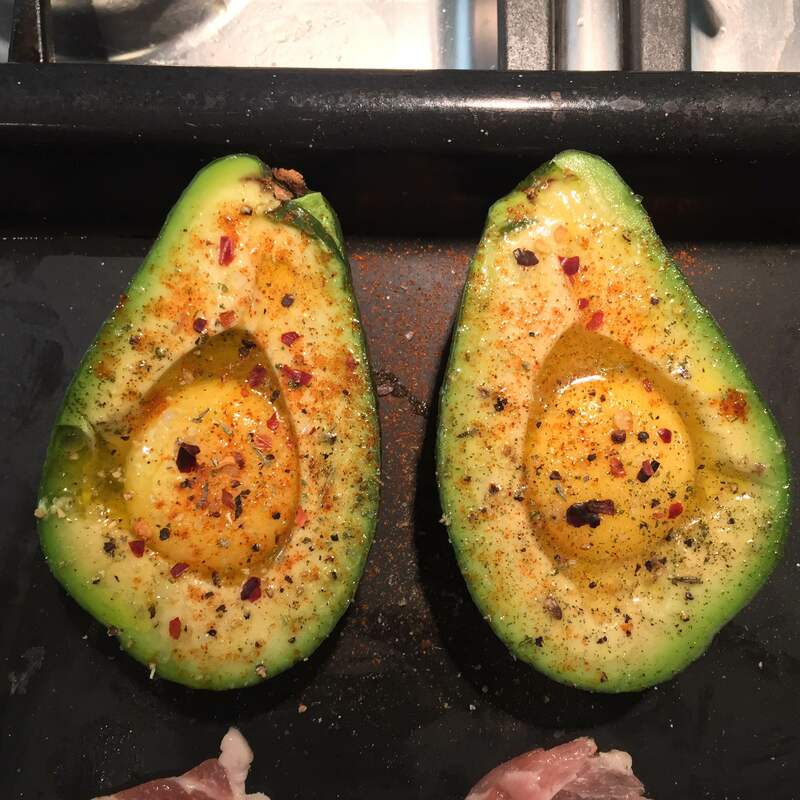 Drizzle a little olive oil over the avo, sprinkle with sea salt, black pepper, garlic salt and chilli flakes. Crack an egg into each avocado half, saving the yolk for later or if you don’t mind the yolk hard, crack the whole egg into each avocado half. Try your best to crack the yolk in first, then let the egg whites spill in to fill up the rest of the shell. Drizzle over a little more olive oil and place on an oven tray, place the bacon around the avo and bake for 15-20 minutes. Dust over cayenne pepper and sprinkle over salt and pepper. Once they have been cooking for 15 minutes, carefully add the yolks and cook for a further 2 minutes, or however you prefer the yolk. Once the bacon is super crispy, let cool then chuck into a mortar and pestle and bash to a crumb. Remove from oven, then season with pepper, spring onions, basil and bacon. Enjoy! 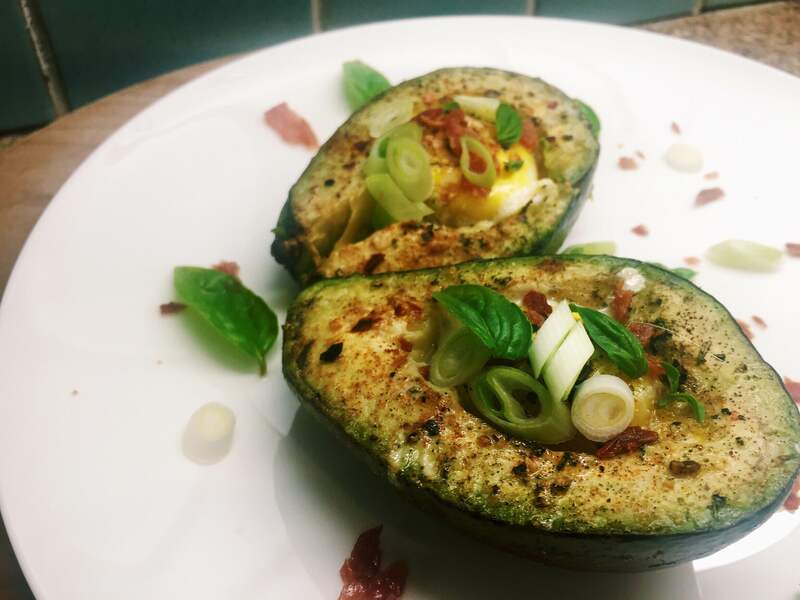 This entry was posted in Breakfast, Recipes, Vegetarian and side dishes and tagged avocado, Bacon, basil, breakfast, chilli flakes, dinner, Easy cooking, eggs, spring onion, vitamins. Bookmark the permalink. the shiz, indeed! 🙂 never tried this yet, but definitely going to give it a whirl soon!